Fifteen years ago, Krista Bremer was a surfer and an aspiring journalist who dreamed of a comfortable American life of adventure, romance, and opportunity. Then, on a running trail in North Carolina, she met Ismail, sincere, passionate, kind, yet from a very different world. Raised a Muslim--one of eight siblings born in an impoverished fishing village in Libya--his faith informed his life. When she and Ismail made the decision to become a family, Krista embarked on a journey she never could have imagined, an accidental jihad: a quest for spiritual and intellectual growth that would open her mind, and more important, her heart. Krista Bremer is the associate publisher of The Sun magazine and the recipient of a Rona Jaffe Foundation award. 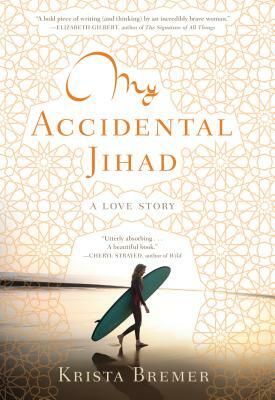 Her essay on which this book is based, “My Accidental Jihad,” received a Pushcart Prize. Her essays have been published in O: The Oprah Magazine,More magazine, and The Sun, and she’s been featured on NPR and in the PBS series Arab American Stories. Her website is www.kristabremer.com.